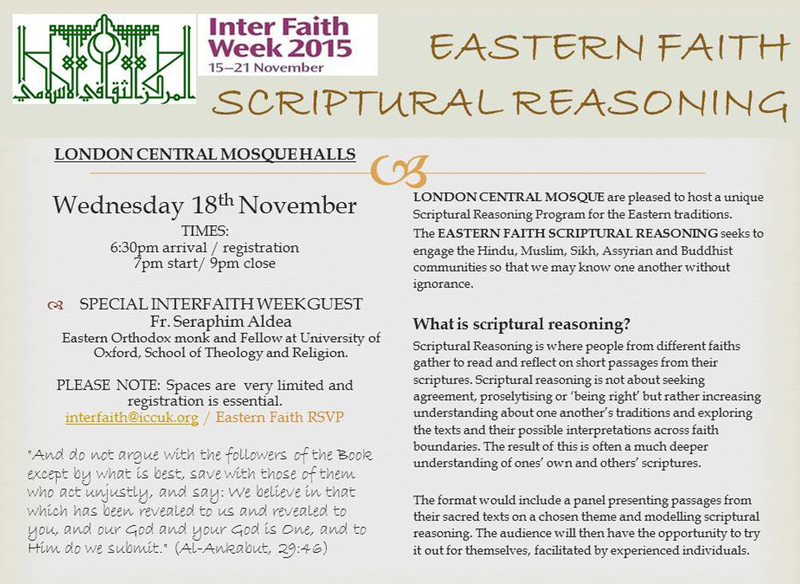 We are pleased to host a unique Scriptural Reasoning Program for the Eastern traditions. The 'Eastern Faith Scriptual Reasoning' seeks to engage the Hindu, Muslim, Sikh, Assyrian and Buddhist communities so that we may know one another without ignorance. Scriptural Reasoning is where people from different faiths gather to read and reflect on short passages from their scriptures. Scriptural reasoning is not about seeking agreement, proselytising or 'being right' but rather increasing understanding about one another's traditions and exploring the texts and their possible interpretations across faith boundaries. The result of this is often a much deeper understanding of ones' own and others' scriptures. The format would include a panel presenting passages from their sacred texts on a chosen theme and modelling scriptural reasoning. The audience will then have the opportunity to try it out for themselves, facilitated by experienced individuals. 49:13 O mankind, indeed We have created you from male and female and made you peoples and tribes that you may know one another. Indeed, the most noble of you in the sight of Allah is the most righteous of you. Indeed, Allah is Knowing and Acquainted. While rooted in the Abrahamic faith tradition, Islam has a long history of engagement with Eastern faiths. London Central Mosque respects the heritage and influence these religions have had on society throughout history through the inherited literature. We are committed to strengthening ties with Eastern Churches, Hindu, Buddhist and Sikh communities here in London, finding was to engage with each other in the pursuit of mutual respect and achieving common interests. If you would like to be informed of future Interfaith events, please register your details here and we will send occasional updates for participation In Sha Allah.